As an island I think we could do better at consuming our seafood. Not only a lot of people pull a funny face when they announce “I don’t eat fish”, but the rest of the fish eating population will only eat a few types of fish, mainly cod. Only one problem, our love for cod had lead to overfishing of cod and it’s not only bad for our wallets, it’s particularly bad for the fish’s survival. Although, according to this Guardian article, cod stocks is recovering last year. But we mustn’t slack and go back to our old habits. There are so many other fish to enjoy and supermarkets like Sainbury’s are running campaigns to try to get us eating other fish. SwitchTheFish is one and I bought some mussels this time. 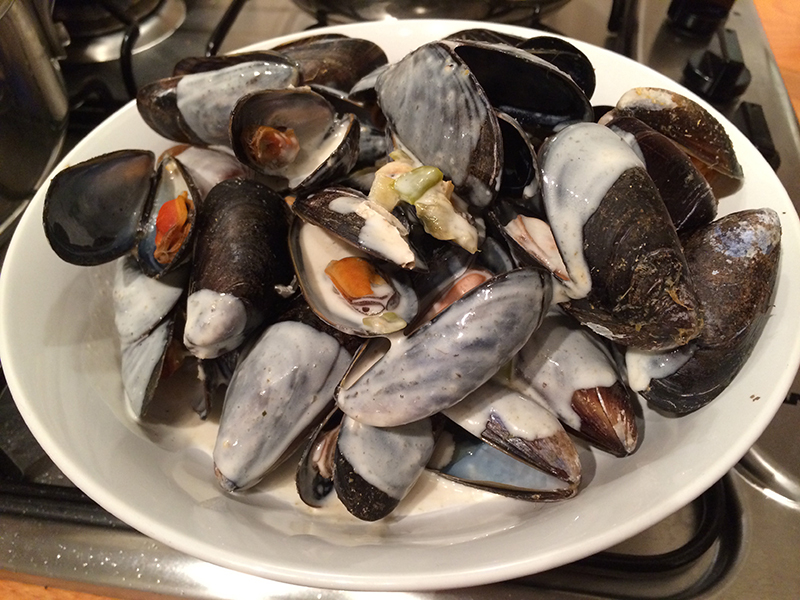 Clean the mussels: scrub the shells in the sink, pull off the beards. If there are any opened http://premier-pharmacy.com/product-category/blood-pressure (and won't close when you touch it) or damaged mussels, throw them away. Put the wine in a big pan (big enough to hold all your mussels!) with the spring onions, lemon grass and lime leaves. Stir in the green curry paste. Simmer for 30 seconds or until the wine has almost evaporated. Add the mussels and turn up the heat. Put a tight lid on and steam for about 5 mins, they should all open. Take out the mussels and keep warm. Strain the remaining cooking liquid and reduce to half. Stir in the coconut milk and chopped coriander. and season and salt and pepper. Pour the sauce over the mussels and serve hot! This recipe works well with shellfish, so if you have clams, prawns (with head and shell on) or a mix of these, feel free to switch to other shellfish! A very quick and tasty little dish that can be served as a starter, or a main with a bit of rice vermicelli to soak up all the lovely juice.